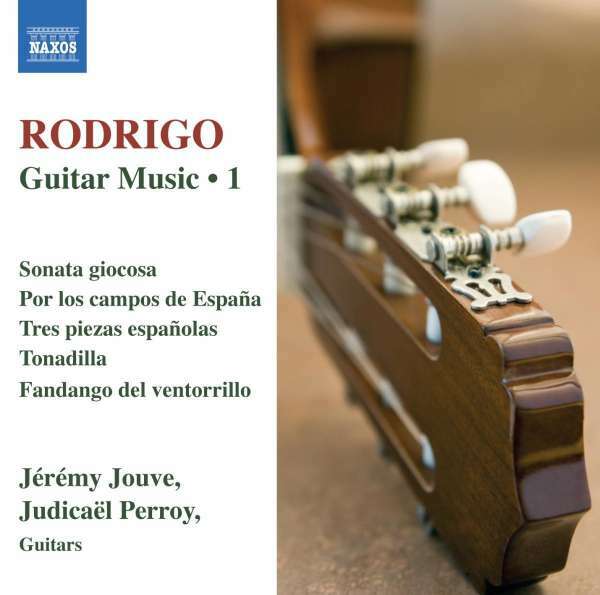 Der Artikel Joaquin Rodrigo (1901-1999): Gitarrenwerke Vol.1 wurde in den Warenkorb gelegt. 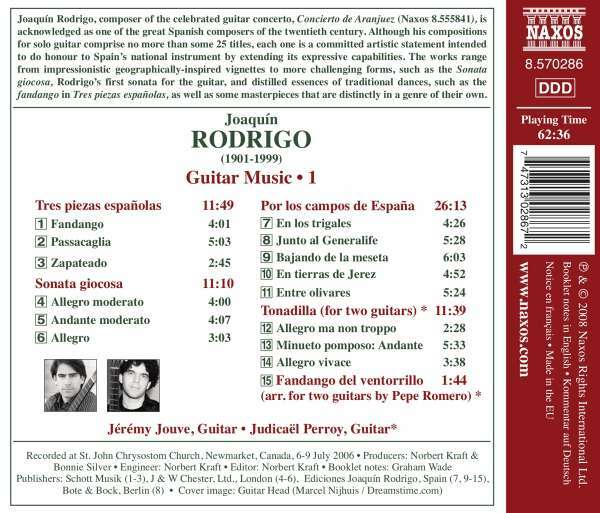 Joaquín Rodrigo, composer of the celebrated guitar concerto, Concierto de Aranjuez (Naxos 8.555841), is acknowledged as one of the great Spanish composers of the twentieth century. Although his compositions for solo guitar comprise no more than some 25 titles, each one is a committed artistic statement intended to do honour to Spain's national instrument by extending its expressive capabilities. The works range from impressionistic geographically-inspired vignettes to more challenging forms, such as the Sonata giocosa, Rodrigo's first sonata for the guitar, and distilled essences of traditional dances, such as the fandango in Tres piezas españolas, as well as some masterpieces that are distinctly in a genre of their own.